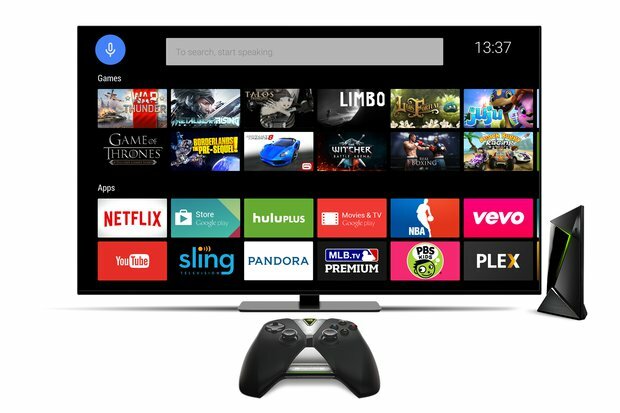 NVIDIA has announced that NVIDIA® SHIELD™ TV – an Android TV-based device built for the big screen in your living room that delivers unmatched streaming and gaming experiences – is coming to Australia and New Zealand. SHIELD delivers the richest visuals with support for 4K HDR and an incredibly smooth and responsive experience. With top apps like Stan, Amazon Video, Netflix and YouTube in 4K, SHIELD offers the largest, most open catalog of media in stunning Ultra High-Definition. SHIELD brings to the comforts of the living room gaming on GeForce, the world’s largest gaming platform, with more than 200 million users. SHIELD TV will be available in July and come bundled either with a remote, or with a game controller and remote. With NVIDIA GameStream technology – a super smooth, ultra-low latency streaming technology – GeForce gamers untether PC gaming, casting their library of games to SHIELD in vibrant 4K HDR at up to 60 frames per second. Direct access to Steam Big Picture mode opens up a massive library of Steam titles. The most popular games like Fortnite, The Crew 2 and Minecraft: Windows 10 Edition can now be played on the big screen. SHIELD powers hundreds of the best Android games, with native experiences that include major PC and mobile franchises Borderlands, Doom, Grand Theft Auto, Metal Gear, Resident Evil, Shadowgun, and Tomb Raider. Based on Android TV, SHIELD is an open platform media streaming device. It taps into Google’s industry leading search capabilities, connects to your library of entertainment with Google Play Movies & TV, and provides access to the Google Play Store for Stan, tenplay, 7 Plus and a near endless supply of apps and games. With Google Cast technology built-in, SHIELD helps you access even more apps, including 9 Now and ABC iview, to cast your favorite shows, movies, music and pictures from your smartphone, tablet or Chrome device. SHIELD TV will be available in July and come bundled either with a remote, or with a game controller and remote – starting at $249 in Australia. Optional accessories include additional controllers and a vertical stand. It will be available on the SHIELD website and from local computer technology resellers including: PC Case Gear, Umart, Mwave, Centrecom, Scorptec, PLE Computers, JW Computers, Austin Computers, Computer Alliance in Australia and PB Technologies, Computer Lounge and Playtech in New Zealand. SHIELD will also be available across select EB Games stores within Australia.